This article was originally published on IoTalents. If you are looking to take your career one step ahead, or just keeping a lookout for a great opportunity, it a wise choice to get good at the essential business activity of networking. 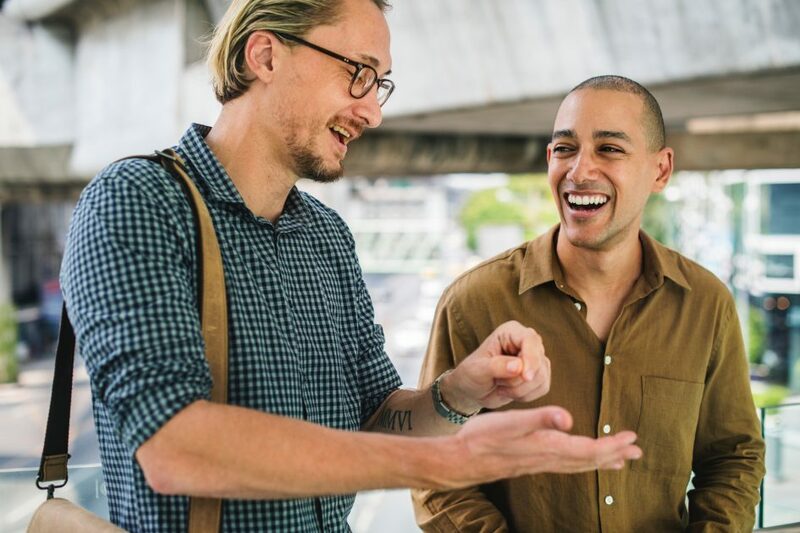 Networking, in essence, is the act of meeting people to form new relationships – relationships that could potentially culminate in a lucrative job offer or help in your work when you need it. Freelancers would find networking to be especially important, as getting jobs often for them are very dependent on getting their name out to the market. Countless books, articles, guides and websites have been devoted to networking. Educational institutions, like Singapore Management University are increasingly including networking skills into their curriculum to help students prepare for real-world networking events. Networking is truly a valuable skill that will give your career a boost. Have a sincere, genuine interest in the person you are talking to. This is the number one golden rule of networking! It is easy to forget that networking is not just about collecting name cards, it is about relationship-building. This means that it is a lot like trying to make a new friend – because it is. Listen intently and let the other party speak more – it helps you to understand them better. Carrying on from the point above, lifestyle guru and New York Times bestselling author Tim Ferriss recommends prioritizing meeting interesting people over interesting sessions. Put your focus on the bios of the people speaking, rather the content or title of their speech. Do not try to meet everyone. It can be tempting to talk to as many people as possible at a networking event. Do not do this. You will be spreading yourself too thin and fail to leave a reasonable impression on any of the people you spoke to. Aim to have meaningful dialogue with a few people – refer to point one about being genuinely interested in the other person. One solid contact gained is far better than ten weak ones. Follow up with the other person! Tim Ferriss calls this “playing the long game”. Before ending the conversation, always ask the other party which mode of communication is best for them. The networking part is just the beginning of the relationship; as with all relationships, it takes time to build. Drop the other party a message or email within 2 days after the initial meet – be sincere and warm when doing this. Have a good time! It is okay to be nervous and a little reserved, especially for the more introverted of us. Relax, and treat the people you are talking to as if they were old friends. Be yourself. Remember point one again – be genuinely interested in the other person! Good networking skills are so valuable because they equip you with the ability to better tap into some of the most valuable resources around other people. Why Skill Development Important for Success? Above all, being good at networking is about simply being good, honest and sincere with people. Use these tips for your next networking session – and who knows, you might just land your next big opportunity.